After underwhelming UK data left the Pound Sterling to US Dollar (GBP/USD) exchange rate limp on Monday, GBP/USD was knocked lower yesterday by a combination of British economic jitters and Brexit fears. The latest US political news helped the US Dollar (USD) to steady. GBP/USD could be in for another week of losses. The pair opened this week at the level of 1.3079 and has since fallen below the key level of 1.30 for the first time in two weeks. At the time of writing on Wednesday morning, GBP/USD had shed over a cent and was trending near a two-week-low of 1.2931. The primary cause of Pound (GBP) losses in recent sessions was concerns that Brexit uncertainties would continue to weaken UK business activity. Concerns that there was no likely progress in Brexit on the near horizon exacerbated these uncertainties. Meanwhile, the US Dollar saw little reaction to US President Donald Trump’s State of the Union address, and steadied after days of mixed movement. January’s UK PMI results fell short of market expectations in every major print, and the latest Brexit developments have done little to indicate that businesses have more to be optimistic about any time soon. Analysts predict the manufacturing sector could be near recession, and the key services sector neared stagnation in January with a print of just 50.1. 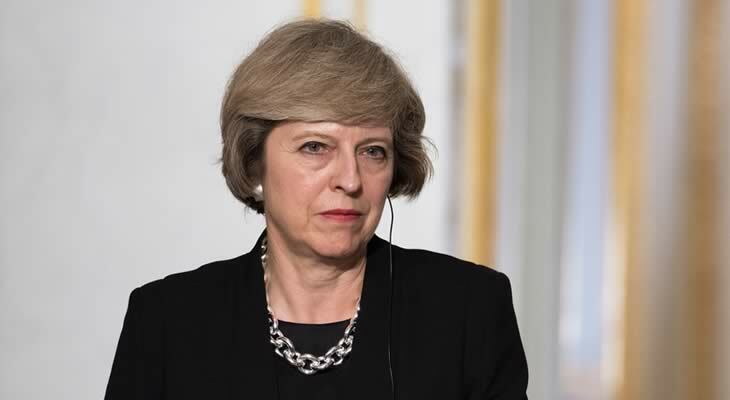 Brexit jitters persisted too, as on Tuesday afternoon UK Prime Minister Theresa May said that the government would not delay the formal Brexit process, and also that there was not enough support for a second referendum of any kind. The cocktail of poor data and fresh Brexit uncertainties left the Pound outlook even cloudier. On Tuesday evening, US President Donald Trump held the anticipated State of the Union address. The speech, which follows the longest government shutdown in US history, had little in the way of news that surprised investors. President Trump made comments regarding US-China trade relations, saying that China needed to make major changes and concessions in its trade stances. His speech didn’t bring any notable surprises for investors, but markets did fear the possibility of another government shutdown as Trump once again vowed to have a controversial border wall built. The US Dollar steadied following his speech, as government shutdown jitters weighed but US-China trade hopes and the announcement of a second US-North Korea summit kept the US currency sturdy. Lastly, recent US data has been mixed which has also meant a steady US Dollar. Essentially, the Pound’s weakness has been the primary driver of GBP/USD losses. Most of this week’s most influential data has been published already, but there are some notable US ecostats due for publication over the coming day that could influence the US Dollar if they surprise investors. US trade balance results from November will be published this afternoon, as well as Non-Farm productivity projections from Q4 2018. This will be followed on Thursday by the latest US jobless claims, as well as the Bank of England’s (BoE) February policy decision. The BoE is not expected to make any shifts of tone and will likely maintain caution over Brexit uncertainty. Any surprises here could influence the Pound though. Failing any surprises in data, GBP/USD investors will be anticipating political developments. Any notable Brexit developments or shifts in US political tensions could have an impact on the Pound to US Dollar (GBP/USD) exchange rate.